season, our display gardens are open from dawn to dusk. 10 acres of fabulous display gardens open to the public. a romantic moment at the end of the day surrounded by blooms and sunset. go to IrisFestival.com maintained by the Keizer Chamber of Commerce. 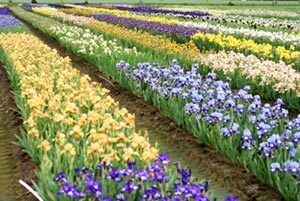 breed a special Iris that will grace future Amity wines. place every Memorial Day and is filled with fun for the whole family. 1st time ever on the West Coast. Bus tour Friday, Flower submissions Sat. 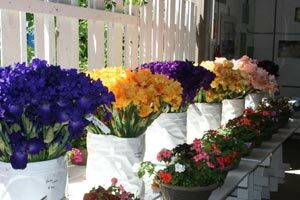 morning, Flower exhibits Sat.-Sun. 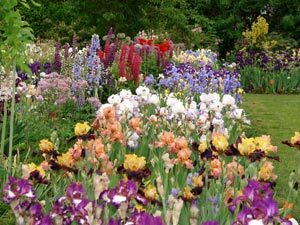 Due to the success of last spring, once again on Saturday, May 21, 2011 the Multnomah Garden club will hold a plant sale for the public. Reasonably priced plants can be found for your garden from experienced gardeners in the area. Find items for the unfinished patio urns and hanging baskets, find a perfect tree for an outstanding look. Get a good idea of plants that do well in the area. Perennials, annuals and more will be for sale. Didn�t start those tomatoes yet? Don�t worry, you can find starts at the sale. Even interesting garden art and planters will be available. Easy access from SW Barbur BV or SW Capitol Highway. Hours: 10:00 am -3:00 p.m. Easy Parking. Cash only please.